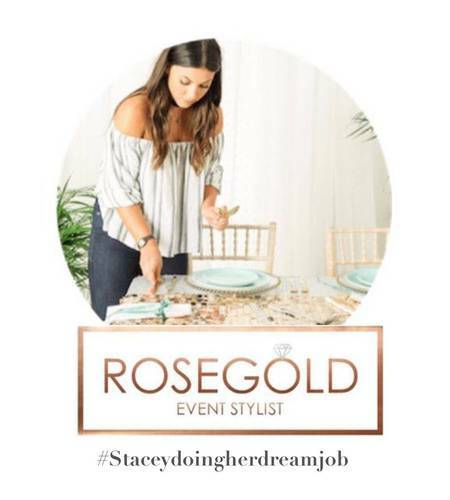 Welcome to Rose Gold Events shiny new website and blog. If you love luxurious weddings, where the details are not just the details they make the design, then you’re in the right place. I love to experiment with colour tones, fabric textures, lighting, floral trends and, most importantly, all the luxury details that elevate and add delightful moments to a wedding day or event. My passion for this industry spans across many contexts, fundamentally the freedom of creativity is my excitement and driving force. After working in corporate marketing since leaving University any passion for creativity was stifled by the corporate rule book. I love the process of creating a design concept and evolving ideas into a visual journey, whether it be in the form of a picture collage, mood board, hand drawn sketch, fabric swatches and paint charts - however the mood takes me I become totally engrossed in finding the perfect details. Launching my own wedding design, styling and planning business has been a ‘one day’ dream of mine for quite some time, I am so filled with emotion to finally launch MY OWN website and blog that captures my personal style, philosophy and passion. Even to just be part of such an amazing industry, where every day I see social media posts and forums where amazing women are achieving great heights in business, fills me with inspiration. I love to inspire, excite and guide my clients through their unique wedding adventure; working with them at every stage, ensuring precise attention to detail for key moments and bringing a concept to life – flawlessly - as if it were my own! I have had the great pleasure to work on recent interior design projects; similar to ‘on the day’ wedding styling set up, and it’s so exciting to see a concept come to life before your eyes, creating an instant atmospheric feeling in what was once an empty lifeless space. Lifestyle, fashion and interior trends hugely overlap into weddings and event style – from patterns, textures, colours and fabrics to more specific elements such as venue trends, must have florals, entertainment options and the guest dining experience. Like any creative industry I keep my finger on the pulse of the latest and upcoming trends, taking elements or including a subtle nod to these in my design, if the bridal couple are trend conscious, but generally I am more driven by the bridal couples’ own story, finding out what brought them together and brings them mutual happiness. My much-loved ‘me time’ is reading through the latest wedding and interior design magazines with a coffee and my Pug, Pugsley curled up on my lap. Creativity has played a huge part in my personality too, growing up I was always a day dreamer, pencil in one hand sketching whilst twirling my hair in the other, creating and crafting of some kind. Setting myself goals and constantly challenging myself, I was in every after school class there was; woodwind band, school choir, drama group, art class, football team, rugby team…you name it I would give it my all! This still plays a large role in my personality and continues to thrive when working for different clients and taking responsibility in coordinating what will be a momentous day the bridal couple will always remember. Throughout my marketing career I have worked with many varieties of creative professionals including; graphic designers, creative agencies, copywriters, international CEO’s, brand managers, marketing experts, PR agencies, photographers, design engineers and the list goes on... and I have learnt something from each expert I was lucky enough to work with. Some neuroscientist, in probably some highly extensive hypothesis, concluded that – “highly creative people think and act differently than the average person”. I love that I am a creative thinker and still very much a day dreamer, I love being different, I don’t think that will ever change. If you would like me to help create your dream wedding or event please take a look around my website for more information, or get in touch - I’d love to hear from you!